Planted in October and harvested in April these artichokes are small, tasty and tender, and prepared within 8 hours of harvest. 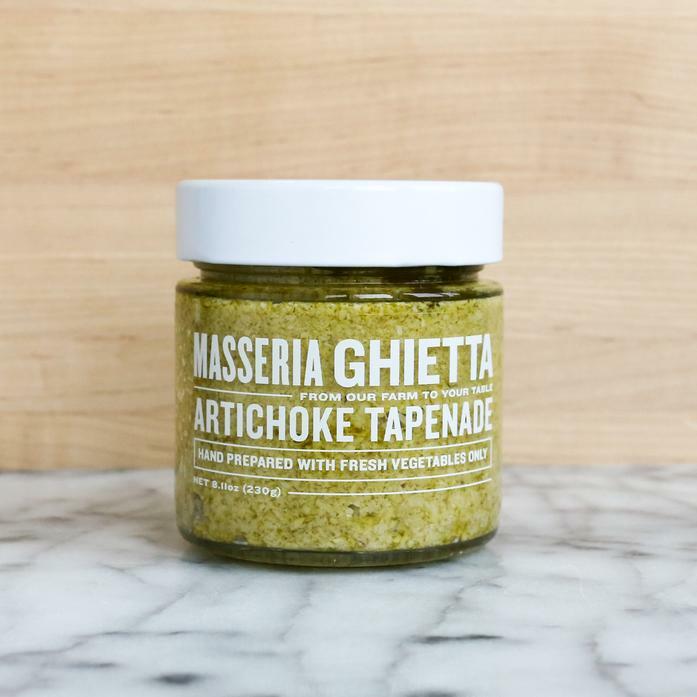 The tapenade is simply made with artichokes and extra virgin olive oil. There’s no need to add anything else. Produced by the New York based Organic Olive Juice Company, the Damiani family hopes to bring the very best flavors from their four farms or Masserias in Puglia directly to your home. Each order contains 1 jar (8.11 oz) of tapenade.